"Better to live than lie dead. The dead gather no belongings. I saw warm fire at a wealthy man's house, he being dead at the door". 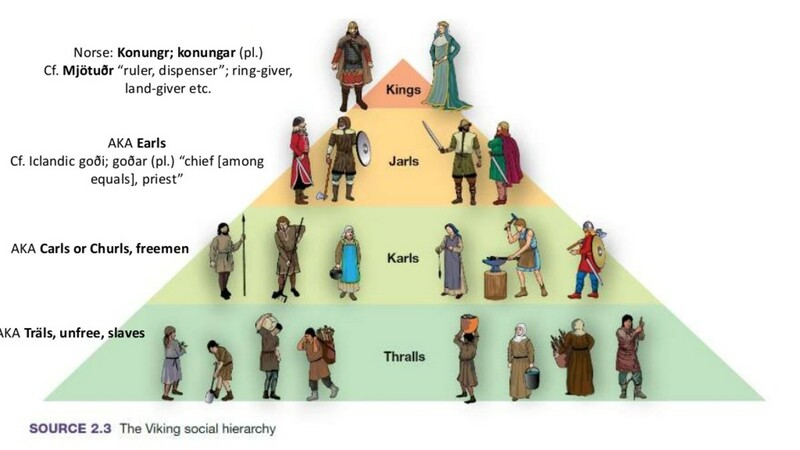 Slavery - or thralldom - was common in the Scandinavia of the Viking age, and in regions such as the Hebrides beyond Norse waters settled by their enterprising sons. 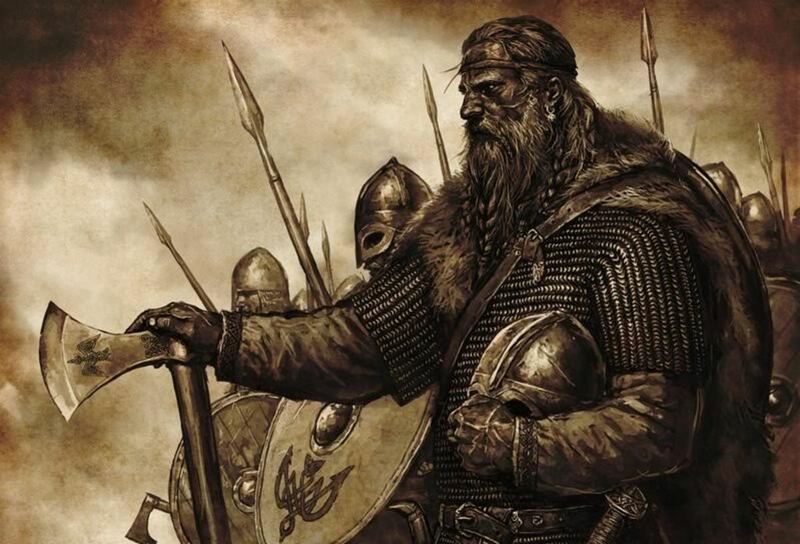 Many slaves - thralls - were either taken from their homelands in battle or on raids and their offspring 'inherited' their standing in Scandinavia. There was little they could do to change that. 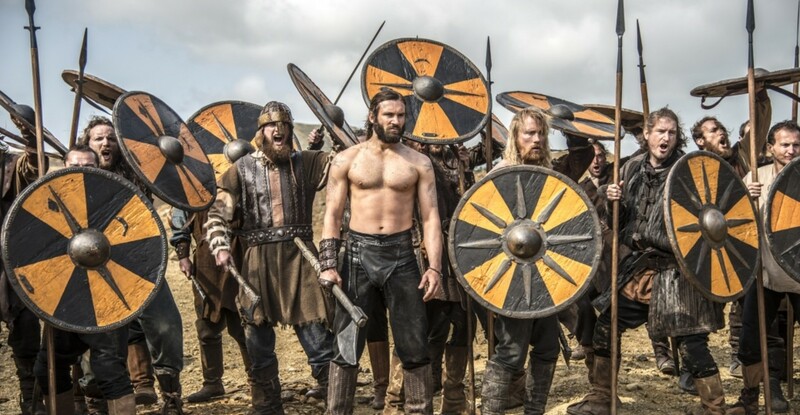 Scandinavians might also find themselves as thralls due to law-breaking or debt. Debt thralldom was for a fixed term. In law a thrall (O.N. Thraell) was property, like cattle. He/she could be sold on and offered as payment for money owed. Until Christianity reached Scandinavia a thrall could be flayed, maltreated or killed without punishment. The thrall was not a member of a household in the way the owner or his offspring was. Thralls were thought of as being less in worth than cattle or other livestock. It was also not illegal for a thrall to be sacrificed - particularly female ones - as an offering to the gods or interred with her master in his grave after copulation and subsequent strangulation by his sons or other male followers. Arab accounts of Rus merchants tell of this. Anyone who killed a thrall would only have to pay the owner the value of the dead property. Similarly, owners had to pay compensation for crimes committed by their thralls. Thralls were known to have undertaken the same kind of work given to the free-born, craftsmen or artisans, but their good work could be claimed as that of a co-worker. Nor were thralls treated well 'in transit'. St Ansgar saw them chained together by neck fetters at Hedeby in the 9th Century. Skilled or loyal thralls sometimes lived well, however, enjoyed the respect of their masters' households and could work towards their own freedom. Following the AD1000 introduction in Iceland of Christianity as the 'state religion' steps were taken to change the statutes with regards to thralls. It was against the law to kill a thrall during Lent, for example. The Church urged the freeing of thralls in pursuit of piety, but it never went as far as to condemn the trade out of hand. 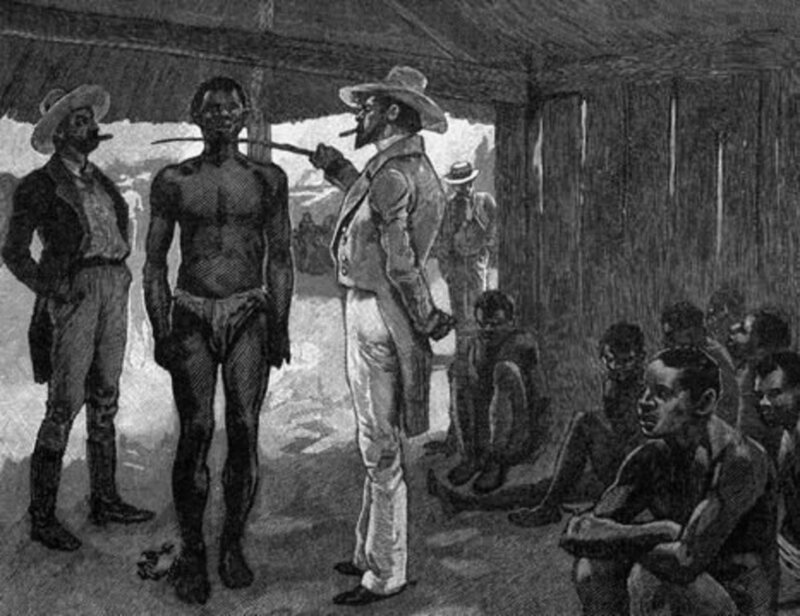 Slavery finally died out in Scandinavia between the 12th and 14th Centuries, Sweden being the last state to widely adopt Christianty - some of the missionaries disappeared on Sweden's shores, possibly taken as thralls and sold further east. Thralldom was a large part of Scandinavia's business with the outside world - especially to the east. 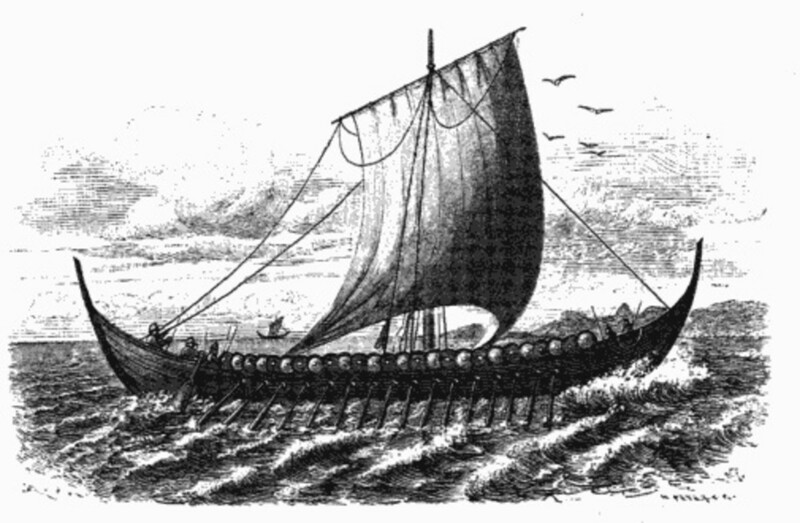 Viking participation in the trade was well chronicled in Irish, Icelandic and Arabic sources, although it is little-known from English or Frankish annals. Major raids were known from Armagh records in the second half of the ninth and first half of the 10th centuries. A 9th century monk known as Finlan was taken by Vikings at a feast, sold on and re-sold before fleeing to safety in the Orkneys. Another Irish source tells of an Irishman, Murchad, who was taken by Vikings and sold to a nunnery in Northumbria. After leading all the nuns astray he was re-taken by Vikings and sold to a widow in Saxony, whom he also seduced. After many adventures he finally reached home and was re-united with his kinfolk. 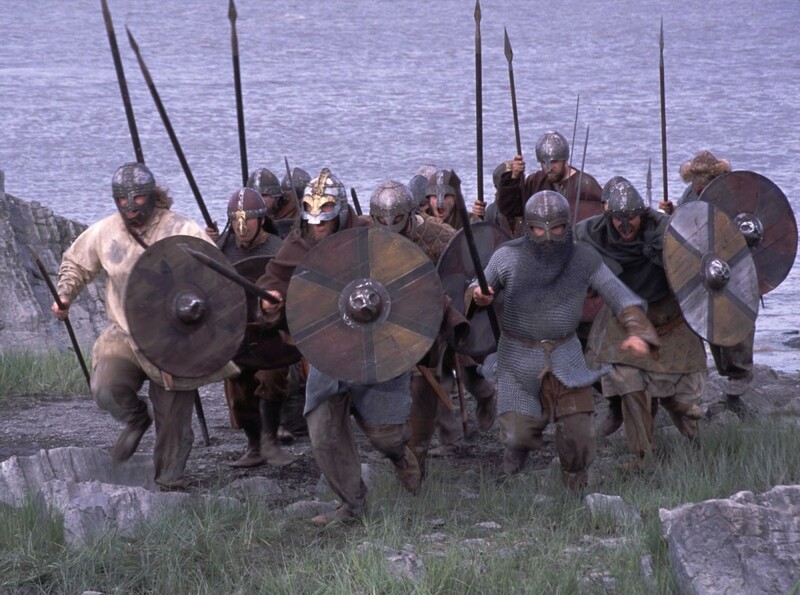 More typical of the fate of Irish and Scots' thralls taken by the Vikings were the many who ended up living in Norway and Iceland, according to the Icelandic Landnamabok and other Icelandic writings. Moorish thralls, known as 'blue men' were taken to ireland in the AD860's following a raid in the Mediterranean. 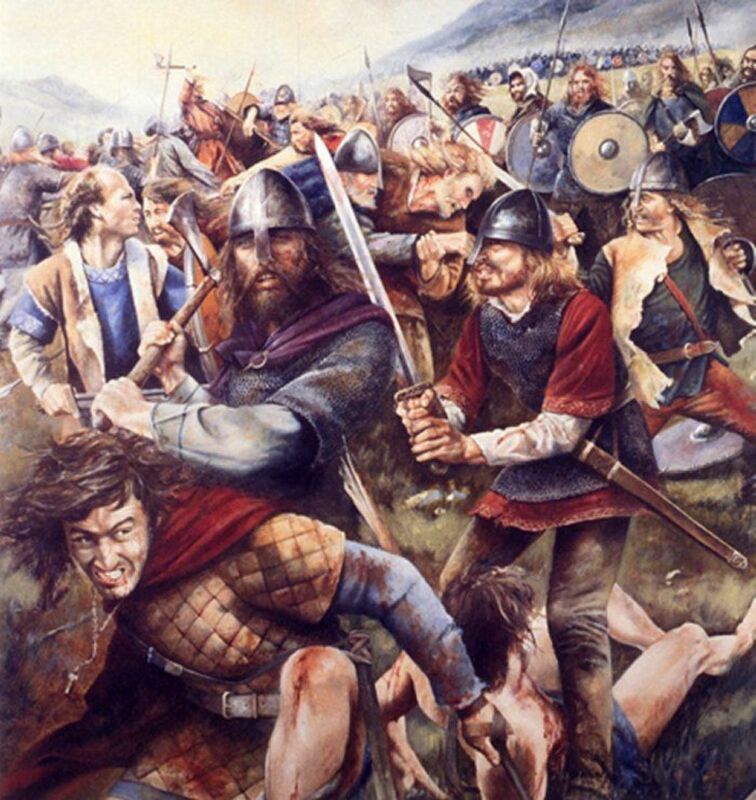 Anglian, Welsh and Pictlish thralls were taken to Dublin after raids in Britain in AD870. 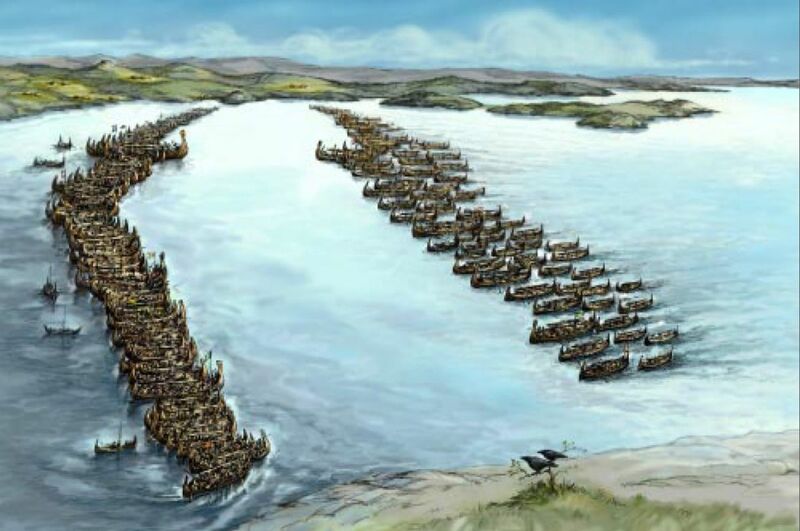 Raiding was also rife in the Baltic. Around AD1075 Adam of Bremen wrote that the Danes of Sjaelland were licensed by King Harald III to raid the Wendish (Polish) coast for thralls and plunder. He noted that they abused their licences, taking and selling Danes as well. Going by detailed 10th Century accounts by the Arab Ibn Fadlan and Persian Ibn Ruslan Viking trading was most intense in eastern Europe. As well as furs, the Rus traded large numbers of thralls with Arab and Bulgar dealers for silver at markets on the Volga. 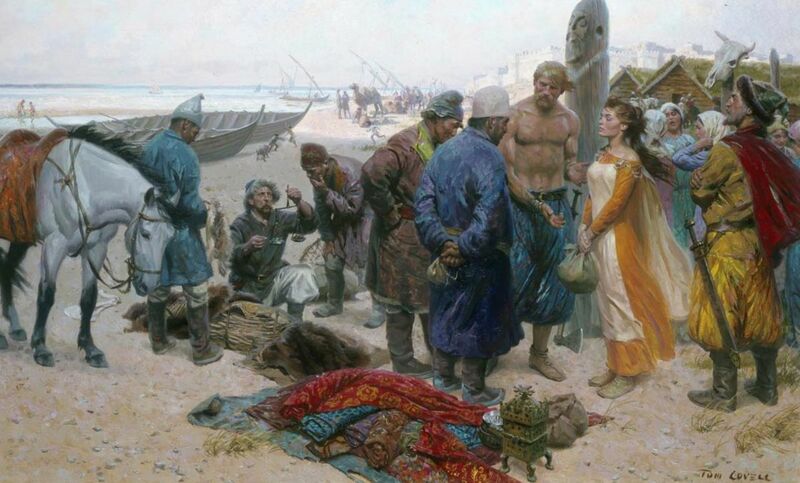 Both thralls and furs are thought to have been bought through peaceful trade from the Slavs and Finns, but others were taken from them as tribute by the Viking rulers of Koenungagard (Kiev) and Holmgard (Novgorod), or by raiding. The relative lack of chronicled raiding in Frankia and England may be the result of greater wealth in these regions as opposed to the poorer regions of Ireland and Russia. It may have been more profitable to ransom those taken here than deal with them as thralls. Of course there is also an old story about when the Pontiff Gregory (AD540-604) went through the slave market in Rome - this was before the Viking Age got underway - he came across some blonde-haired, blue eyed children 'on offer'. On being told they were Aengle (Angles) he is said to have exclaimed "They are not Aengle, they are angeli (angels)". ... to one of the non-European countries (not Israel, with its high proportion of European Jews) of the eastern Mediterranean and seen straight-limbed people with blue or green eyes and fair hair. There are two ways these people came to be here. One is that they are descendants of crusaders from Northern Europe and Scandinavia (Normans served King Roger of Sicily, Bohemond or Robert Guiscard; Englishmen joined the Varangian Guard after 1069/71) fought and lived in the region, former holdings of the Byzantine Empire such as Antioch, Sicily, Palestine (Israel did not exist at the time). The second way they came to be there was as descendants of Anglian, Saxon or Irish slaves sold by the Norse traders to Berber and other Arab chieftains or slave masters, even Byzantine slave owners who kept them for their households. With many their skin colouring and eye colour was prized. Not all English or Irish slaves were blond and blue-eyed, however. The mix that came with the Saxons and Angles also included other groups including dark Slavs from further east in the Baltic (Prussia was originally populated by a tribe known as Pruci, pron. Prutsi), sold.by their lighter-skinned Wendish neighbours. Thanks for your input Joel, and duly noted. 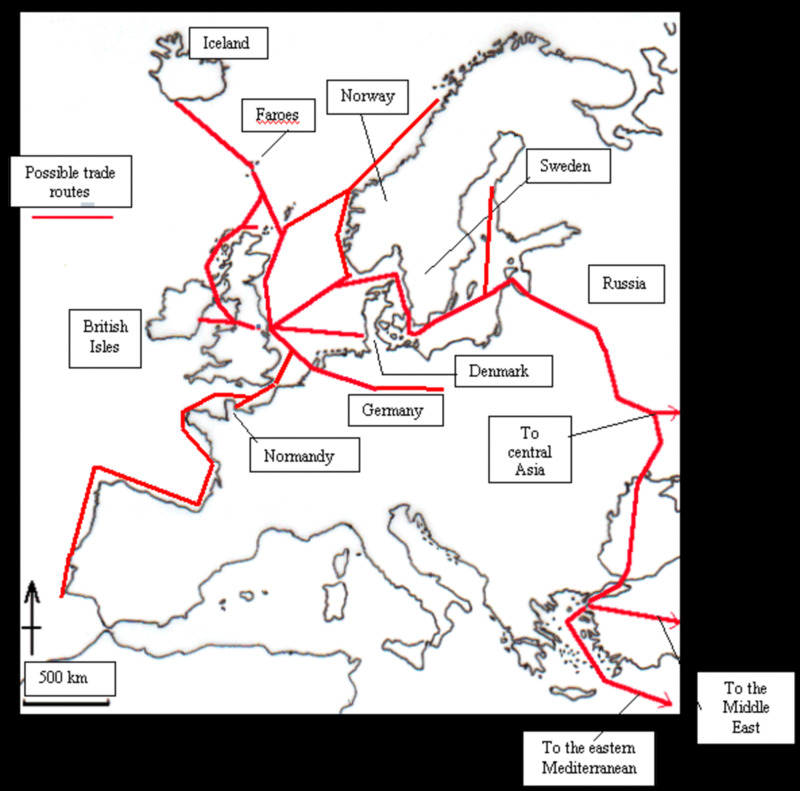 However the slaving routes, just as the other trading routes, didn't just stop in the European/North African area of Viking 'operations'. 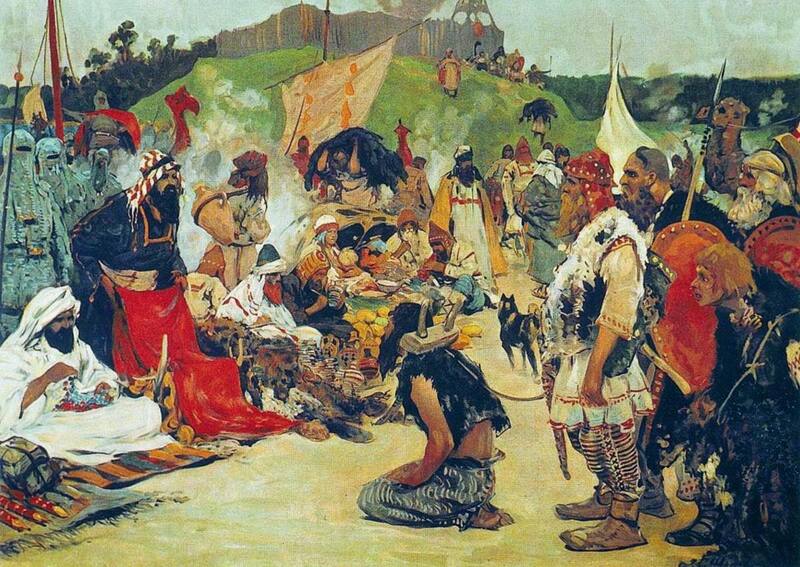 Slaves were sold by rival Irish kingdoms to the Norsemen and taken as far away as Baghad or further east. Those sold in North Africa wouldn't have been up to hard slog in the fields, but fair skin was prized as a commodity and looked after. Likewise many were taken on as slaves in Iceland, Greenland and Scandinavia where they were eventually freed with the arrival of Christianity. As you can see on the map above, this slave trade route is crazy. The main buyer of slaves in Western Europe has never been Constantinople, but Moorish Spain. The main Viking route was crossing Aquitaine and the Pyrenees. A postscript for gmwilliams: The Croats and Slovaks were as ardent as the Nazis in their pursuit of minorities (Jews, other Slavs, communists and Gypsies mostly) in WWII. The Croats were given Vatican gold to buy weaponry and equipment to fight the Serbs and Partisans (although Josip Broz - Tito - was a Croat and there were many Croat communists who fought alongside him). The proto-Nazi Croat state established concentration camps, although on a smaller scale than the Nazis, and were visited by Himmler who praised them on the ferocity of their 'cause'. There were many Ukrainians who sided with the Germans against the Russians and were recruited into the SS. The world of the Slavs is complex, to say the least. The Slovaks in WWI fought alongside the Austrians and were ardent monarchists. I did some research on the word "Slav" and saw this. Of course, such is not the case. I know that the Slavs were a group of people from Eastern Europe to the Baltic and Balkans. The Slavs are a proud people. The original inhabitants of Prussia were a Slavic people. Unfortunately, they were all but exterminated by the Teutonic Knights in their bid to go eastward. Many Slavs have been oppressed throughout history by the Ottoman Turks (mainly the Bulgarians), the Austro-Hungarian Empire(Poles, Czech, and Ukrainians) and the Russian Empire. In World War II, sadly, many Slavs were horrifically murdered in the various Nazi extermination and concentration camps. Not to digress, the Vikings were more than raiders. They were quite enterprising businesspeople. They have made many contributions to history. The word 'Slav' doesn't mean 'slave'. That was the doing of Hitler and the Nazis' (sounds like a 'B' side band, doesn't it)! The Slavs were a group of peoples who occupied land to the east and south-east of the Germanic peoples - north-south - between the Baltic and (at present) the Balkans. I shall cover the relationship between the Vikings and their eastern neighbours in VIKING - 31: SLAVS, Rus, Wends and the South Slavs. I have South Slav blood on my mother's father's side. Ask a Slovene, Serb or Pole if he thinks of himself as a 'slave' and get your running shoes on. There'll be hot trouble afoot! My favorite person, this is an immensely educational and informative piece. Many people do not realize that the word "Slav" meant slave. 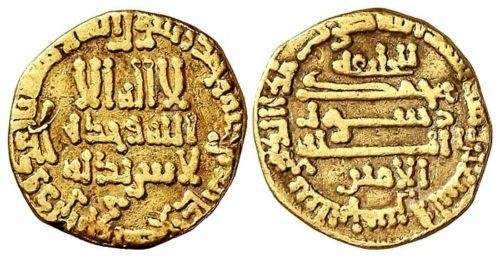 Many people from Eastern Europe were sold in Africa, the Byzantine Empire, and in Arab countries. 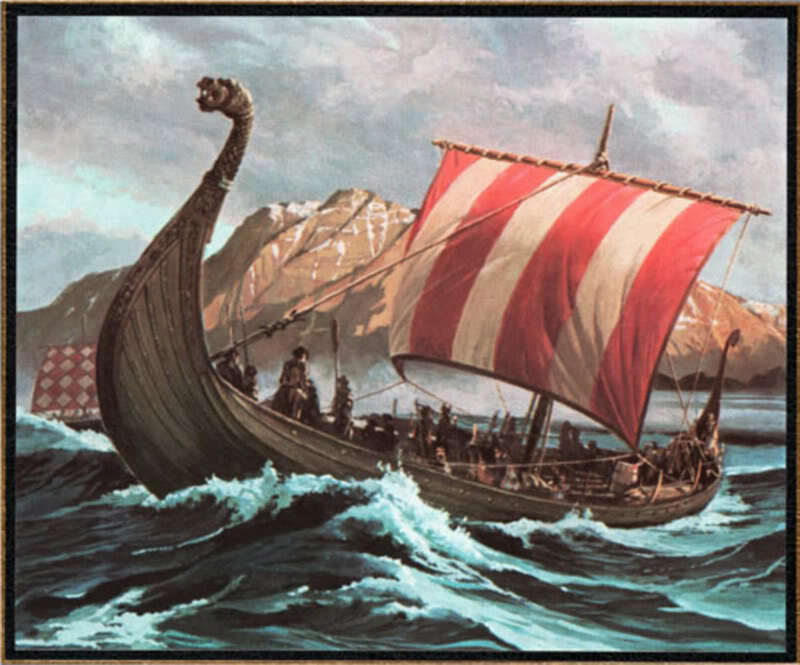 Many people also do not know that the Vikings besides being raiders were quite astute merchants and entrepeneurs. 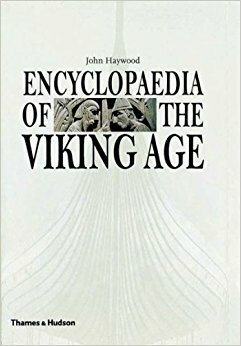 More information regarding the subject can be found in a National Geographic Book entitled the Vikings. Good information here!